Did anyone involved with OpenOffice.org attend this? It would be interesting to get information on this — especially the “Technical teardown of OpenOffice”. With that information the points could either be refuted or be used to create a list of enhancements. I am still trying to identify location/name of this event. I’ve asked a read of ours from Budapest, but he knows nothing about it. Industry players in any field pretend to welcome competition, it is expected of them as it fits with the Idea that the best and brightest will succeed against slower and inefficient incumbents. Techrights is adding in its area of expertise to the overwhelming evidence that business success is skewed to the interaction between political power and money. 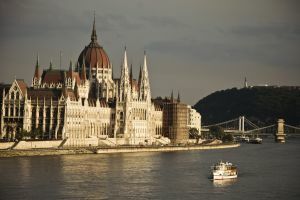 BTW thanks for photo of Hungarian Parliament, I had no idea it was such an impressive building. The thing is, Microsoft is not just competing here. There are special rules for monopolies (crushing entrants while they are small) or paying particular people to avoid alternatives or help crush these (c.f. AMD vs Intel). I agree with everything you said in your previous reply. I thought I had drawn attention to this without labouring the point. I think it’s nice to apply the same principles to governments. A lot of tyrannies control information and restrict access to opposition, which they then use to justify “popularity” (as in “Windows is popular”).